Transferrin (TrF) is a very important human body glycoprotein and a clinical biomarker which controls the body’s iron ion channels and iron ion balance. Any change in TrF concentration and isoform also reflects the emergence of some diseases. 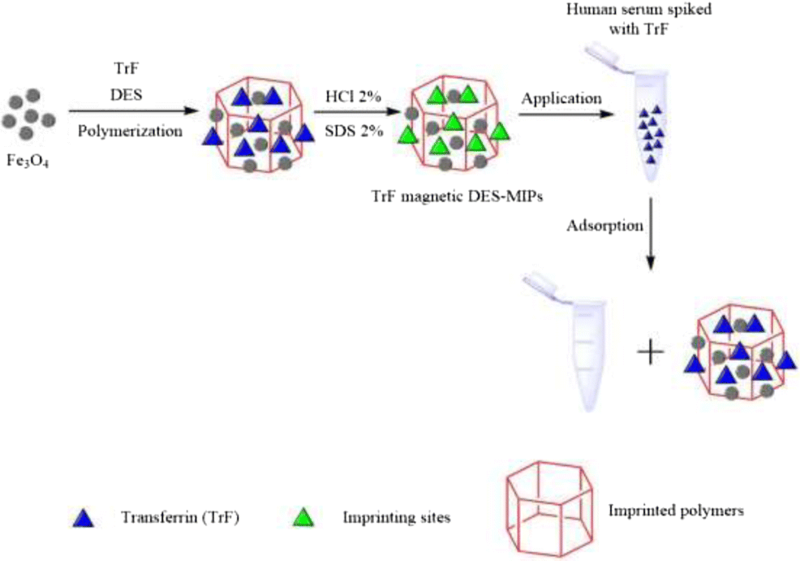 In this work, we prepared magnetic molecularly imprinted nanoparticles (deep eutectic solvent-molecular imprinting polymers [DES-MIPs]) with a deep eutectic solvent (DES) as a functional monomer to separate TrF in human serum. The DES dosage for MIP, pH value, and time for adsorption have been optimized, and these materials show special adsorption properties for TrF. The maximum adsorption capacity (Qmax) and dissociation constant KL of the MIP by the Langmuir adsorption curve (R2 = 0.9949) were 37.5 mg/g and 0.015 g/L, respectively. The imprinting factor of the MIP is 3.50 with relative standard deviation (5.63%). 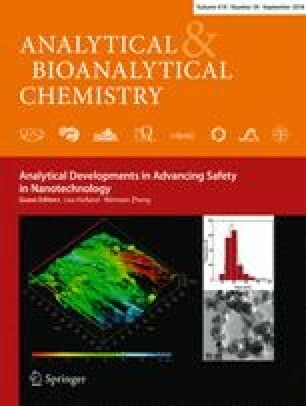 In summary, the use of DES as a functional monomer in molecular imprinting technology provides a novel, efficient, and biocompatible method for the isolation and purification of proteins. This research was financially supported by the National Natural Science Foundation of China (No. 21575055 and 21375052) and the Research Funds for the Central Universities (lzujbky-2017-k09). The study using serum as sample has been approved by the people’s hospital of Gansu province Ethics Committee and the Lanzhou University Ethics Committee and has been performed in accordance with the ethical standards. Informed consent was obtained from all individual participants included in the study.